I like to listen to things that sound different and by extension, more original. Twigy brings this in not only his voice, but his flow. To me, a rapping style is a combination of both of those elements. When brought together, they make the most obvious thing we can judge a rapper on; their sound. Twigy was one of the first Japanese rappers I heard and at a time when I understood next to no Japanese, he got me interested in more of the culture purely because of the way he sounded. I was first exposed to rappers who seemed to be putting on an especially deep or gruff voice. This was perhaps to legitimise themselves? After a while of hearing this, Twigy was a breath of fresh air and I was pleased to hear someone using what sounded like their natural voice and intonation. Hearing him speaking in interviews confirmed this. He sounded like exactly the same man, but not rapping. Twigy does flow in a recognised rapping style, but it’s a style that’s rarely adopted and he uses it in a very unique way. I’d describe Twigy’s style as like a stone skipping gently across a still lake. He touches the beat ever so softly before suspending tine and hovering above it waiting for the next point of contact. The best track to get a feel for his style is Kick It Out. This track has great production, well structured beat and an unobtrusive, yet influential bass line. Throughout the track, it’s almost as though he’s stopping and starting, yet he remains on beat and continues to flow consistently. In the final verse of the song, the bass takes a break and we hear Twigy clearly. That lets us hear his voice, the other part of his style that attracts me to his work. His style certainly isn’t for everyone, but as he says himself, he is all about “originali-T-W-I-G-Y”. With Twigy, it’s not about sheer imitation. Every time he appears on a track, he’s offering something fresh and original to the Japanese rap world. I thought I’d share an interesting video I came across which shows two guys, or actually the same guy(!) performing Muro’s Space Funk 2001 as both Muro and Nipps. This is what I would like to be doing this year. I’d like to at least attempt a full song, but I’ll settle for performing a single verse. I won’t be able to do it at Karaoke, but I’ll just make a short video using a phone or something. Anyway, check it out and props to him for doing this video and posting it on YouTube. 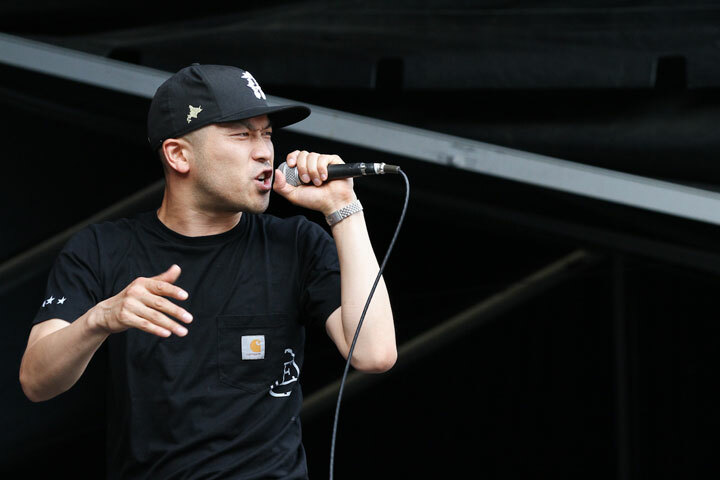 Rapper and DJ, Muro is an artist that’s been around since the beginning of Japan’s hip-hop scene and has worked with the best in the industry including Twigy, Rino and several acclaimed American artists. Muro was active on the Japanese hip-hop scene from the late 80s, but only released his first album 10 years later in 1999. After a long wait for a first album, he then released several albums at a fast rate and now has 12 albums to date; the last one being the Tokyo Tribe 2 OST upon which he showcased his lyrical ability and produced 5 of the 12 tracks. The OST also showed his great pulling power by recruiting featured artists and producers including the Wu-Tang Clan, De La Soul, Prodigy and the Alchemist. Remaining active as a producer, Muro has a strong reputation and an important place in the Japanese hip-hop world. Tokyo based UZI is a member of the Urbarian Gym (UBG), distinctive for his deep voice and references to samurai from whom he is descended. Front man of Sapporo’s Tha Blue Herb, Boss has a career that spans over 20 years at the forefront of Japanese underground rap. Also known as B.O.S.S (B-O double S) and Ill Bostino, he still regularly tours Japan. Within the Blue Herb Recordings (TBH), Boss Tha Emcee has worked on a house music project with Herbest Moon as well as projects outside TBH in the Japanese Synchro System with Kumamoto born MC Calm. The moniker Ill Bostino is a name he usually uses when working on non-Blue Herb projects, most notably with DJ Hazu on Stray Dog (野良犬). A group consisting of rapper Boss Tha Emcee and DJ O.N.O. 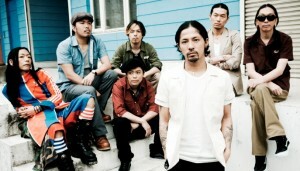 They are based in the capital of Japan’s northernmost prefecture, Hokkaido, producing an individual brand of rap music. Starting their journey in 1997, The group release records for both Tha Blue herb and other affiliated artists in Hokkaido through their record label, Tha Blue Herb Recordings. Born in Kyoto prefecture on 9th December 1979, Bird (バード) is a Japanese Jazz singer who has produced 7 studio albums during a 15 year career. A rock band formed in 1996 when the two original members, rapper Kenji and Sakurai Makoto, got together with Ikuzou Baba, who then became their bass guitarist. They quickly gained widespread acclaim, reaching the peak of their powers in 1999, releasing three high performing singles, selling over 4 million copies in total. Over time, Dragon Ash have collected several new members: Tetsuya Sato as a DJ and Hiroki Sugiyama, a guitarist. They also have two dancers, Masaki Chiba and Atsushi Takahashi. In recent years, tragedy hit the group when in April 2012, long-standing member Ikuzou Baba passed away suddenly at age 46 in his Tokyo apartment. The 6 current Dragon Ash continue performing to this day. It’s been a while since I started on Ira Ira. The problem is that I got sidetracked doing other things. In any case, I have managed to get something down as I could set aside half an hour to work on it. First off, I listened to Ira Ira on my way to and from work to get myself really familiar with it. That made a total of one hour, but then I just stopped listening. That was a week after I’d intended to start, now here I am a week later having done a little more. But my schedule looks a bit freer over the next week, so I can do a little every evening. I listened to the track at full speed only as I didn’t have access to anything that would slow it down. That made things a little harder for me and is the reason there are unknown parts shown by “OOO”. I think I could get them by listening for longer, but I capped the time spent on it to half an hour and that was probably the best way to approach it. In the end, slowing it down will be the best way to get those parts I can’t quite make out. Even in English rap music, there are words one can’t quite make out and will mistakenly think the artist is saying one thing when really they are saying another. You will also notice that I haven’t written everything in Kanji (漢字). Part of the problem is that I’m not sure what should and shouldn’t be written using Kanji. The parts I’m fairly sure about, I’ve use Kanji, otherwise, I’ve tried to avoid using them. I’ll not try to make this verse perfect. I will first do the final two, then come back to this and find those missing words, move on to the next two verses doing the same, before finally going over them all again and making sure I’m happy with the result. Then, I’d like to hand it over to a native speaker to see how accurate I’ve been. Feel free to follow me on twitter where my handle is @ShibuyaGenba. You’ll be able to keep a closer eye on my progress by following me there.